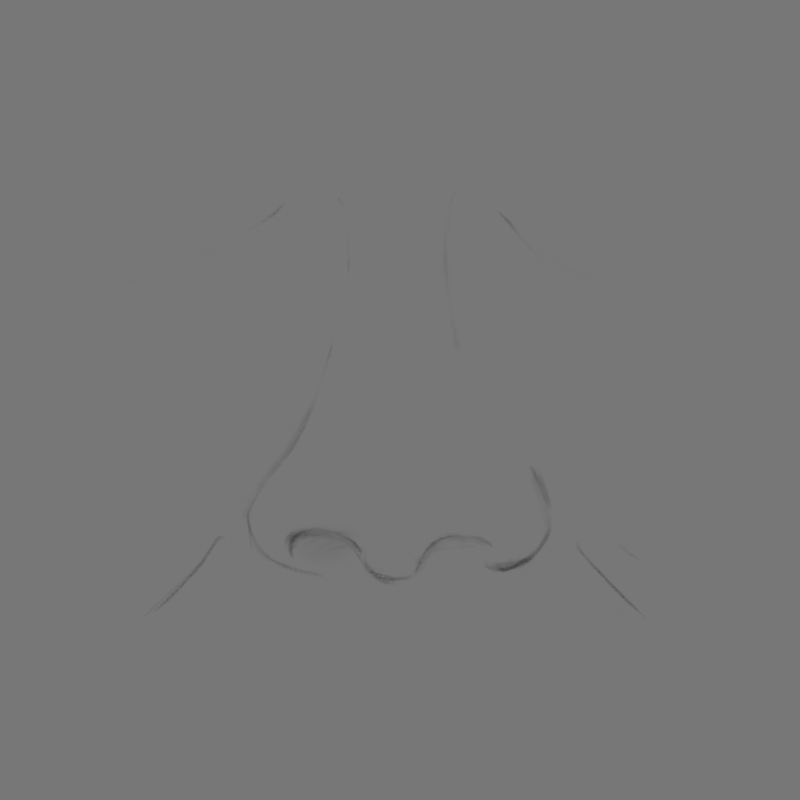 This is a tutorial on how to paint a nose with Krita, Photoshop or any other digital painting tool. 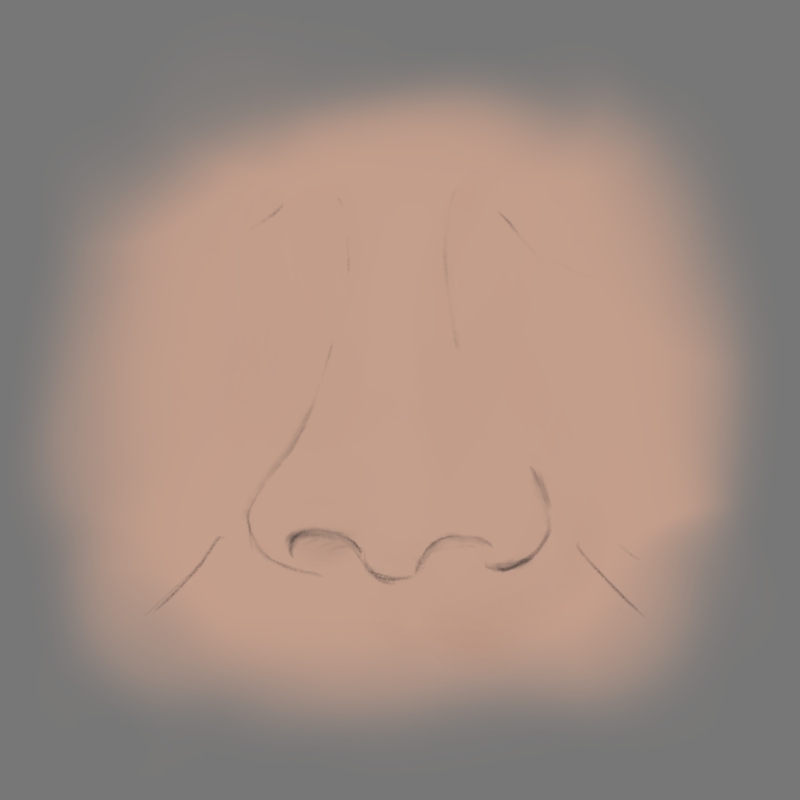 As in my other tutorials for digital painting I will also use very simple brushes: One for the lines, a pencil 2B and for the color I use an airbrush. I keep the lines thin and after painting them I turn the opacity of the layer to about 50%. Then I add a new layer under the lines layer and choose the airbrush tool to draw some base color in. In the last part I add a layer over the lines and paint the shadows and the highlights in by using again the airbrush with an opacity of 60 – 80%. 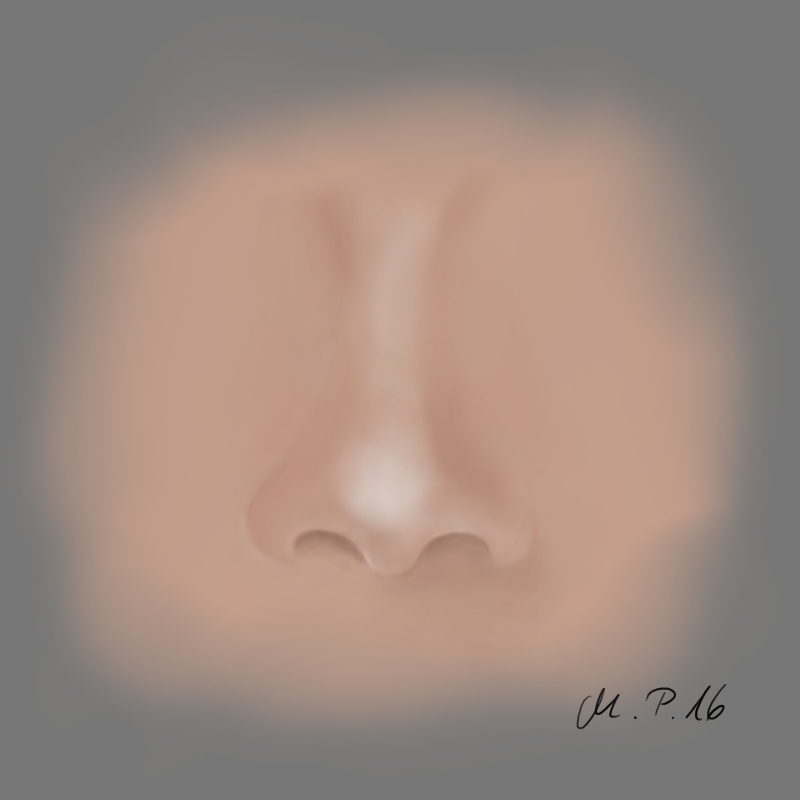 In the end you can choose white color and up the opacity to add more highlights on the top of the nose. That’s it! And again: Don’t give up if it’s not as you like in the first or the second try. Keep on painting and your skills will increase.